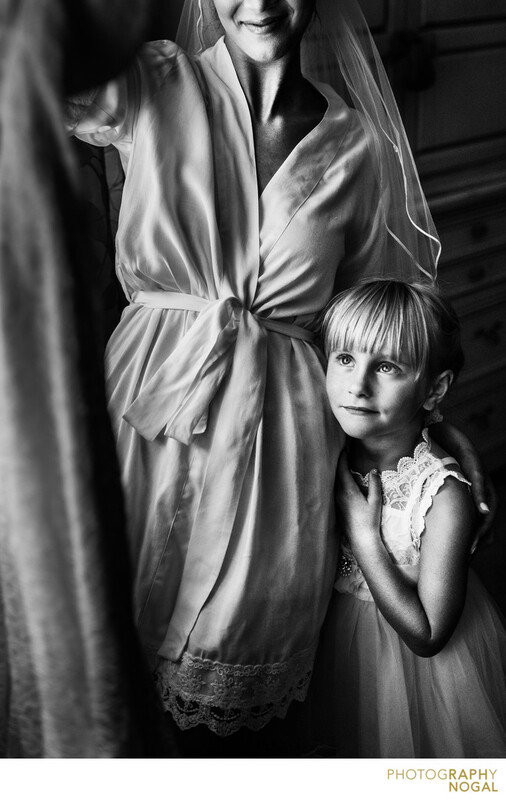 This curious Flower Girl really wanted to get up close with the wedding dress. Her and the Bride look on as the Bride makes some adjustments. The little girl's face shows the curiosity and anticipation of the day.